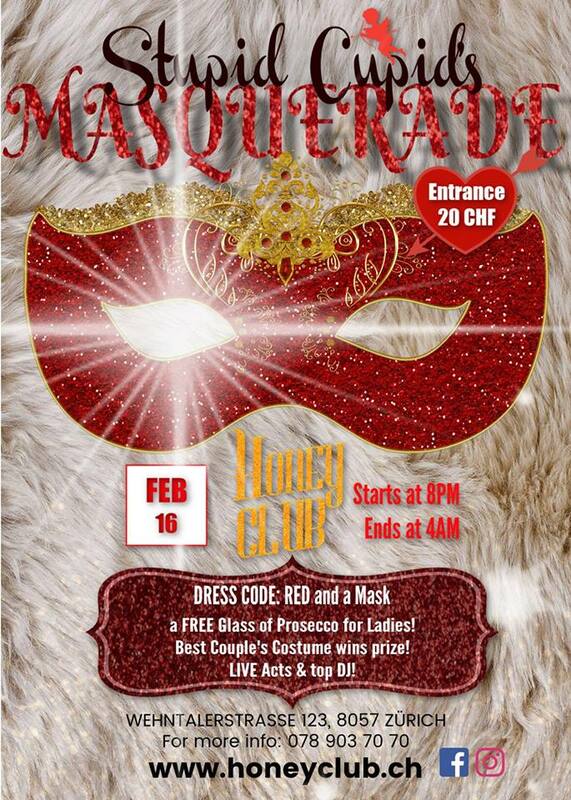 Join us in our (Valentine's Party) Stupid Cupid's Masquerade on the 16th of February (Saturday night) with free apéro food and all the ladies will get a FREE glass of Prosecco. And enjoy our fantastic LIVE Acts (LIVE Band) and later disco with our top DJ. The Best Couple's Costume wins a prize!